Bueu: Studio in a villa with porch and garden. This in the Ria de Pontevedra and Vigo Sanjenjo north south. This villa-apartment of 70 m2 Consists of 1 bedroom with double bed, bathroom, kitchen and a large lounge and dining area in Which There Is Also a furniture-bookshelf That Can Be Transformed in a bed for one person. This apartment sleeps three people maximum. * Prices shown are for an --Completely OCCUPATION - HOUSE FOR TWO PERSONS, each additional person added to the price INDICATED + 10euros / day. Except July and August, other months have a 10% discount for a week, 15% for two weeks, and 20% for a month or more. At the heart of the Rias Baixas. At the heart of the Rias Baixas, Procurement Information nicely with link to the autopistaA-9 in 10min. Cpos statement boat with ONS and CIES islands: For more information about BUEU and its surroundings, pede visit the website: www. tourmorrazo. com To be near the sea and 50meters high, temperatures are not extreme, and climate in winter and summer. is soft. Anfitriones muy atentos, tranquilo, cómodo, limpio, y con unas vistas maravillosas. Lugar tranquilo con buenas vistas a la ria. Propietarios simpaticos y atentos. Outside there is a porch with a table and chairs on stone floor located in a lovely garden with panoramic views spectacluar on the Ria de Pontevedra. 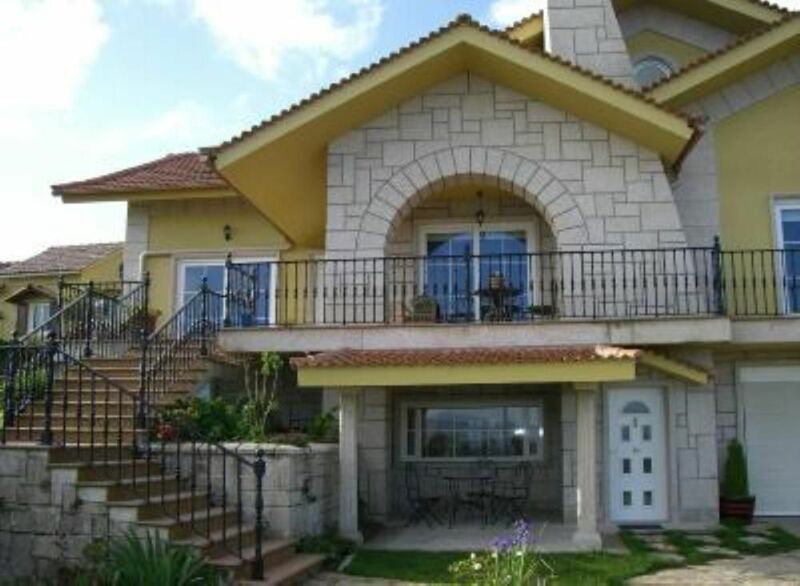 It is built on the ground floor of a villa with independant entry and access to the garden. tarifas decrecientes en función de la duración, tarifa en función del número de personas, fianza pedida, arras/deposito de reserva, entrega de llaves realizada por propietario ausente durante la estanciaietario. LOS PRECIOS PUBLICADOS SON PARA UNA OCUPACION DE TODA LA CASA POR DOS PERSONAS, CADA PERSONAS MAS, SUMARA AL PRECIO PUBLICADO, +10€/dia.